In the morning, after climbing two El Capitan routes the previous afternoon and through the night, Brad Gobright nodded off a couple times while belaying his partner Scott Bennett on their third big wall in less than 24 hours. "I started to feel mental fatigue about halfway up Lurking Fear on the steep crack pitches," he remembers. "I wasn't much at ease doing huge runouts and death loops." Gobright and Scott Bennett completed the El Capitan triple in 23 hours and 10 minutes on June 15 and 16 in Yosemite Valley. The pair blasted up a combined 66 pitches on Zodiac (5.7 C2/5.14A, 1,800'), The Nose (5.9 C2/5.14a, 2,900'), and Lurking Fear (5.7 C2/5.13c, 2,000'). This is the third time a party has climbed three El Cap routes in a day. 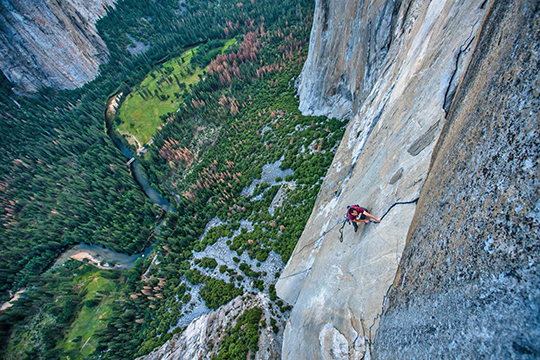 Previously, Alex Honnold and Sean Leary linked The Nose, Salathe Wall, and Lurking Fear, in 23 hours, on June 30, 2010. In the autumn of 1994, however, Hans Florine and Steve Schneider climbed The Nose, Lurking Fear, and the West Face in a day. Dave Allfrey calls their El Cap triple "the birth of the vision." Gobright and Bennett decided they could do the three routes in less than 24 hours if they averaged 6.5 hours per route, plus extra time for two descents and re-racking gear. They did some simulclimbing on the routes, but mostly short fixed. To avoid Yosemite's usual scorching summer heat, the team started climbing at 2 in the afternoon at the base of The Zodiac soon after the route went into the shade. Their plan was to follow the shade or climb during the night for the 24-hour period. The weather, however, was unseasonably cool with highs in the low 70s. "The Valley got a random cold spell and the wind made it feel like winter up there," Gobright said. "[Bringing only] T-shirts was a bad call and I drank very little water all day." Gobright says the hardest part of the link-up was the mental and physical exhaustion. "The hardest part was overcoming sleepiness. I ended up being awake for 37 hours," Gobright said. "My regular sleep schedule didn't allow me to get the proper amount of sleep before the linkup began at 2 p.m." Besides fatigue, he added, "The other crux of the day was going down the descent three times. Those long granite slabs are brutal on the legs and feet." The standard descent route down the East Ledges takes most climbers about three hours to down climb slabs, rappel 500 feet and scramble over talus to reach the final trail to the Manure Pile parking lot near the base of El Cap. The idea started last winter, when David Allfrey asked Gobright to climb the El Cap Triple while Gobright was recovering from compression fractures in his lower two vertebrae and fractured ankle suffered in a 20-foot ground fall while attempting a gear-only ascent of Viceroy (5.14a R if done on trad; bolted) at Castle Rock in Boulder Canyon, Colorado. "I wanted to do it [El Cap triple] for a long time," Allfrey said. He and Alex Honnold have climbed seven El Cap route in seven days and, teamed with Cheyne Lempe, Allfrey climbed Mt. Watkins, Half Dome and El Cap in a day. But, he admitted to losing motivation for the project. Then he dislocated his finger when a cam pulled and he fell while aid-rope soloing Leaning Tower. After Allfrey bailed, Gobright said, "I had given up on the plan but Scott Bennett rolled into the Valley with his girlfriend Clemence Bacquet to climb Triple Direct (5.9 C2, 3,200')." 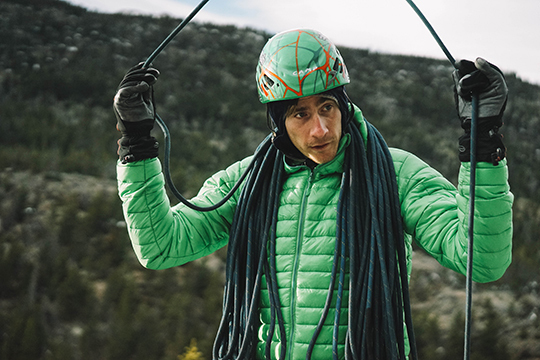 After they got down, Gobright asked Bennett—the two have climbed together for seven years—to delay his trip back to Boulder by a few days so he could climb the triple. "Scott, being the stoked guy that he is, [agreed]." Gobright and Bennett have notably speed climbed the Naked Edge in Eldorado Canyon, doing it round-trip from the bridge over South Boulder Creek in an astounding 24 minutes 57 seconds. The pair had previously climbed all three of the routes before attempting the triple day. Bennett did all three five years before, while Gobright climbed 10 El Cap routes in the previous month, including all three routes and a one-day link-up of The Nose and Salathe Wall with Jim Reynolds. Gobright said, "After my back felt 100 percent healed up in early May, I came to the Valley and started climbing on El Cap. The gym helped but climbing...a bunch got me in real shape." The pair also climbed Zodiac together a couple days before the link-up. "Zodiac is the most technical of the three so I think it was a good call [to dial it in]. It took us over 7 hours to do it the first time and only 5 hours 20 minutes on the day of the link-up," Gobright said. On June 15, Bennett and Gobright started up triple at 2 p.m. in the afternoon at the base of The Zodiac and topped out at nearly 7:30 p.m., then blazed down the East Ledges descent in about 30 minutes. Next they climbed The Nose, finishing by dawn the next morning. Gobright says they ate "some tasty pepperoni bagel sandwiches" after The Nose that Bennett had brought. Last up was Lurking Fear, which has the longest approach, taking most teams an hour to reach the base from El Cap bridge. After descending from Lurking Fear, Gobright said, "We were feeling pretty dead after three El Cap routes [and descents] but with that incredible view on an exceptionally beautiful day it was hard not to feel totally alive despite the exhaustion." When asked if he was going to do another El Cap triple, Gobright said, "All of my big goals in climbing are on El Cap, but another speed triple isn't one of them." 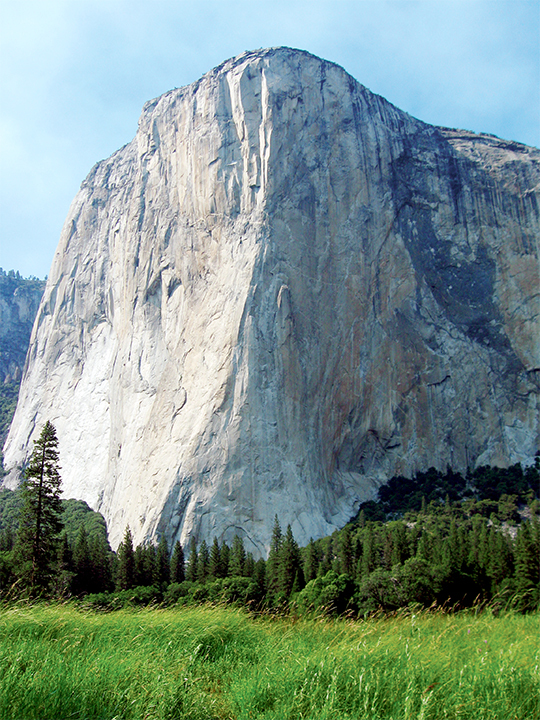 West Face is not considered by many to be a true "El Cap bigwall". It is similar to the East Buttress, although admittedly a step up in difficulty. That may be why they described Brad and Scott's ascent as the second El Cap Triple. Hans Florine and Steve Schneider climbed The Nose, Lurking Fear and the West Face in a day in the Fall of 1994. Steve had fixed lines on Lurking Fear, as he was working on freeing it, so they rapped those after the first two routes, and didn't do the East Ledges descent until after the third route. They did climb three routes in a day however, making Brad and Scott the third team to pull off this incredible feat.